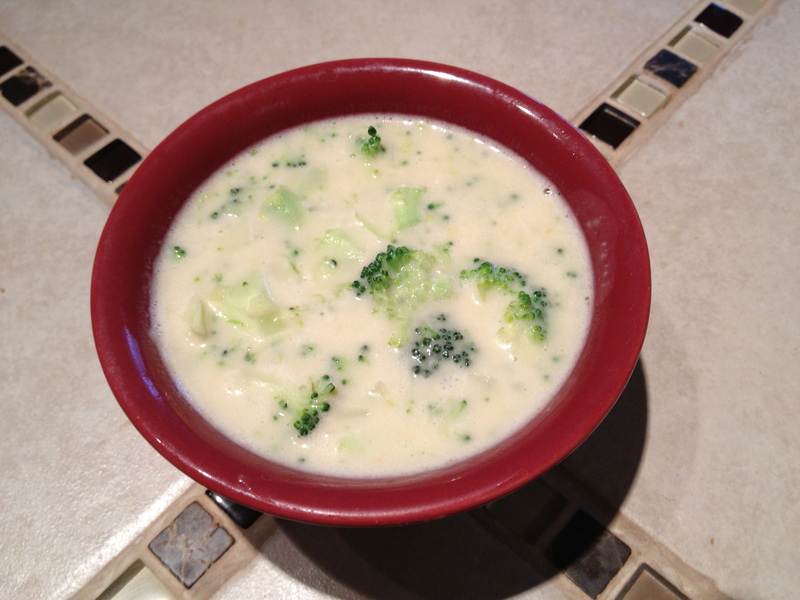 This vegan Cream of Broccoli Soup is quick and easy to make. My non-vegan, meat-eating students love this soup (even though it’s vegan and gluten-free). Sauté the broccoli until it’s bright green. 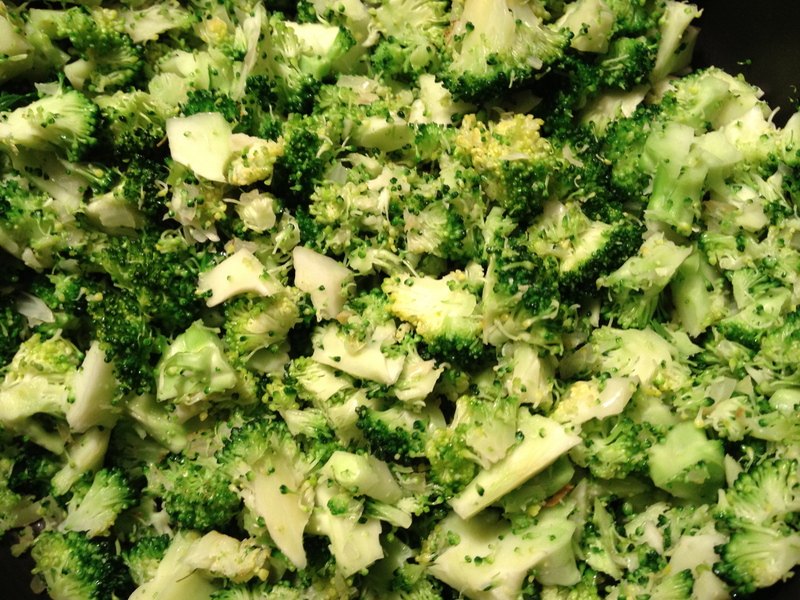 1 lbs of broccoli heads, chopped into small 1-centimeter squares. About 4 cups. When the broccoli is bright green and still slightly crunchy, pour the liquid over the broccoli/onion mixture. Add another 1 ½ cups of water and still well. Bring to a simmer. I like to add a dash of cayenne pepper.